Coluccio Salutati (16 February 1331 – 4 May 1406) was an Italian humanist and man of letters, and one of the most important political and cultural leaders of Renaissance Florence; as chancellor of the Republic and its most prominent voice, he was effectively the permanent secretary of state in the generation before the rise of the Medici. Salutati was born in Stignano, a tiny commune near Buggiano (today's province of Pistoia, Tuscany). After studies in Bologna, where his father lived in exile after a Ghibelline coup in Buggiano, the family returned to Buggiano, which had become more securely part of the Republic of Florence. There he worked as notary and pursued his literary studies, coming into contact with the Florentine humanists Boccaccio and Francesco Nelli. The refined and masterful classical Latin of his letters to Florentine scholars earned him the admiring nickname of "Ape of Cicero", In 1367 Coluccio was appointed chancellor of Todi in the Papal States. Papal secretary Francesco Bruni took Salutati with him to Rome from 1368 to 1370, as assistant in the Papal curia of Pope Urban V recently returned from Avignon. In 1370, through his connections in the curia he was made chancellor of the powerful Tuscan city of Lucca, a post he quickly lost in internecine struggles there. In 1374 Coluccio received an appointment in Florence and the following year was appointed Chancellor of Florence, the most important position in the bureaucracy of the Florentine Republic. In his position, Salutati was responsible for the widely circulated official correspondences with other states, drafting confidential instructions to ambassadors, conducting diplomacy and negotiating treaties: "in its chancellor Florence had someone truly exceptional, endowed not only with legal knowledge, political cunning and diplomatic skill, but also with psychological penetration, a gift for public relations, and unusual literary skill." His abilities as a statesman were soon tested as Florence was immediately faced with war with the papacy. Salutati was charged with addressing Pope Gregory XI to assure him that Florence was still a loyal member of the Guelf party. Although he failed to prevent war with the papacy, Salutati soon became the most celebrated chancellor in all of Italy and a master of the formal letter. Florence's principal nemesis during his tenure, Gian Galeazzo Visconti, Duke of Milan, once remarked that one of Salutati's letters could "cause more damage than a thousand Florentine horsemen." During his life, Florence warred twice against its powerful northern rival, Giangaleazzo Visconti. His treatise De tyranno ("On the tyrant") published in 1400, has, most likely, its model in Visconti, although in it Salutati (despite being a republican) remains a supporter of the providential universal monarch already put forward by Dante. Occasionally his letters had unintended consequences. 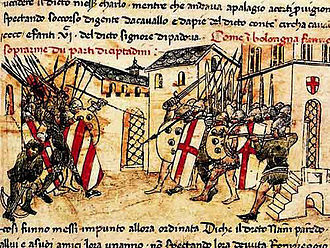 When he wrote to the people of Ancona in 1376, inciting them, in the name of their freedom, to revolt against the governor imposed by the pope, he called to mind the evils Italy had suffered on behalf of the French. Word of his nasty tone got to the King of France, which prompted a most conciliatory letter from Salutati, assuring the King that he meant no harm and that Florence would always be a friend to France. 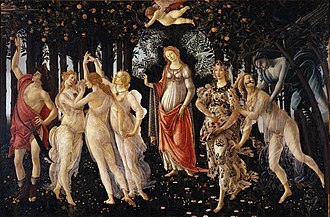 In testimony to his service as chancellor the city of Florence paid 250 florins for his funeral in 1406. Coluccio's cultural achievements are perhaps even greater than his political ones. A skilled writer and orator, Coluccio drew heavily upon the classical tradition and developed a powerful prose style based on the Latin of Virgil and Cicero: "I have always believed," Salutati wrote, "I must imitate antiquity not simply to reproduce it, but in order to produce something new". In this sense his own view of humanism was broader-based than the antiquarianism of the generation of humanists he fostered. 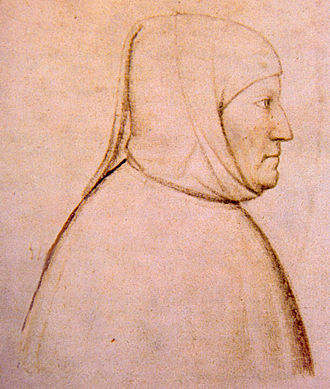 An admiring correspondent of Petrarch, he spent much of his salary on amassing a collection of 800 books, slightly less than his contemporary Niccolò de' Niccoli. 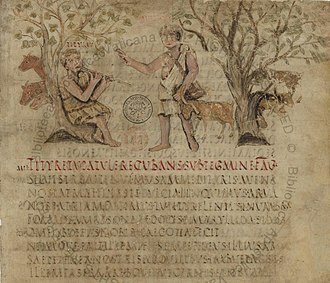 He also pursued classical manuscripts, making a number of important discoveries, the most important being Cicero's lost Letters to his Friends (Epistulae ad Familiares), which showed Cicero as a defender of republican liberty. Coluccio also did important studies of history, tying Florence's origin not to the Roman Empire but to the Roman Republic. He promoted the work of younger humanists such as Gian Francesco Poggio Bracciolini, Niccolò de' Niccoli, Leonardo Bruni and Pier Paolo Vergerio. He also brought the Byzantine scholar Manuel Chrysoloras to Florence in 1397 to teach one of the first courses in Greek since the end of the Roman Empire. After Boethius, few Westerners spoke or read Greek. Many ancient Greek works of science and philosophy were not available in Latin translation. By Salutati's time, a few Latin texts of Aristotle had arrived in Europe via Muslim Spain and Sicily. These texts, however, had been translated from Arabic, rather than directly from the Greek. 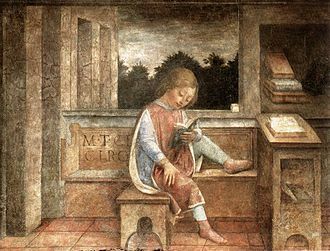 By bringing Chrysoloras to Florence, Salutati made it possible for a select group of scholars (including Bruni and Vergerio) to read Aristotle and Plato in the original ancient Greek. ^ Some scholars as Augusto Campana, Mario Martelli (’’Schede per Coluccio Salutati’’, Interpres, IX, 1989, pp. 237-25) and others support the date of 1332 on the basis of letters in which Salutati writes of his own age. This date of birth is also accepted by Harvard University Press for Coluccio Salutati’s works edition (The I Tatti Renaissance Library). ^ Schwartz, Thomas G. (1934). A Biography of Coluccio Salutati (Feb 16, 1331 – May 4, 1406). Retrieved 14 February 2018. ^ Italian "Scimmia di Cicerone", with implied praise. Tanzini, Lorenzo. "Il cancelliere letterato". Medioevo. De Agostini (145/146): 100. ^ The Avignonese papacy lasted from 1305 to 1367. ^ Stephen Greenblatt, The Swerve: how the world became modern, 2011:123. ^ Tanzini, Lorenzo. "Il cancelliere letterato". Medioevo. De Agostini (145/146): 103. ^ Lauro Martines, The Social World of the Florentine Humanists, 1390–1460 :(Princeton) 1963:25. ^ Brydges, Sir Egerton (1821). Res Literariæ: Bibliographical and Critical, for Oct. 1820. C. Beranger. p. 278. Retrieved 14 February 2018. ^ Halvorson, Michael (29 August 2014). The Renaissance: All That Matters. Hodder & Stoughton. p. 25. ISBN 9781444192964. Retrieved 14 February 2018. ^ Herbermann, Charles, ed. (1913). "Coluccio di Pierio di Salutati" . Catholic Encyclopedia. New York: Robert Appleton Company. Pope Gregory XI was pope from 30 December 1370 to his death in 1378. He was the seventh and last Avignon pope and the most recent French pope, in 1377, Gregory XI returned the Papal court to Rome, ending nearly 70 years of papal residency in Avignon, France. His death shortly after was followed by the Western Schism and he was born Pierre Roger de Beaufort in Maumont in the modern commune of Rosiers-dÉgletons, around 1330. The nephew of Pope Clement VI, he succeeded Pope Urban V at the conclave of 1370 and was the seventh. During his pontificate, vigorous measures were taken against proponents of Lollardy, which had found acceptance in Germany and other parts of Europe. 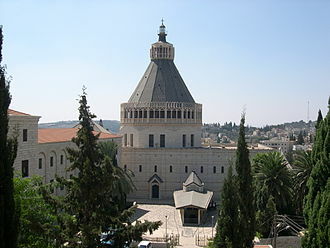 Efforts were made to corrupt practices in the various monastic orders, such as collecting fees from persons visiting holy sites. Gregory confirmed a treaty between Sicily and Naples at Villeneuve-lès-Avignon on 20 August 1372, which brought about a permanent settlement between the kingdoms, which were both papal fiefs. The Decadicon was submitted to Pope Gregory XI in the part of the 1370s by French canonist. Gregory formally condemned fourteen articles of the Sachsenspiegel in 1374 and nineteen propositions of Wycliffes On Civil Dominion in 1377 and his decision to return to Rome is supposedly attributed in part to the incessant pleas and threats of Catherine of Siena. A return had been attempted by Gregorys predecessor, Urban V, but the demands of the Hundred Years War brought him north of the Alps again, and Avignon was still the seat of the Bishop of Rome. The project of returning again to Rome was delayed by a conflict between the pope and Florence, known as the War of the Eight Saints, the pope put Florence under interdict during 1376. 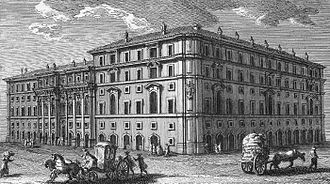 The return of the Curia to Rome began on 13 September 1376 and was concluded with the arrival of Gregory XI on 17 January 1377, Gregory XI did not long survive this trip, dying in Rome on 27 March 1378. He was buried the day in the church of Santa Maria Nuova. After his death the College of Cardinals was pressured by a Roman mob that broke into the chamber to force an Italian pope into the papacy. Giovanni Boccaccio was an Italian writer, correspondent of Petrarch, and an important Renaissance humanist. Boccaccio wrote a number of works, including The Decameron. 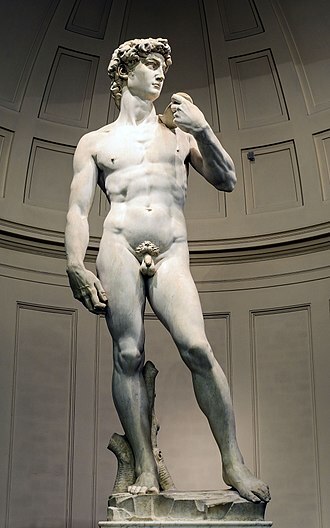 The details of Boccaccios birth are uncertain and he was born in Florence or in a village near Certaldo where his family was from. He was the son of Florentine merchant Boccaccino di Chellino and an unknown woman, Boccaccios stepmother was called Margherita de Mardoli. His father worked for the Compagnia dei Bardi and, in the 1320s, married Margherita dei Mardoli, Boccaccio may have been tutored by Giovanni Mazzuoli and received from him an early introduction to the works of Dante. In 1326, his father was appointed head of a bank, Boccaccio was an apprentice at the bank but disliked the banking profession. He persuaded his father to let him study law at the Studium and he pursued his interest in scientific and literary studies. His father introduced him to the Neapolitan nobility and the French-influenced court of Robert the Wise in the 1330s, at this time, he fell in love with a married daughter of the king, who is portrayed as Fiammetta in many of Boccaccios prose romances, including Il Filocolo. Acciaioli became counselor to Queen Joanna I of Naples and, eventually and it seems that Boccaccio enjoyed law no more than banking, but his studies allowed him the opportunity to study widely and make good contacts with fellow scholars. His early influences included Paolo da Perugia, humanists Barbato da Sulmona and Giovanni Barrili, in Naples, Boccaccio began what he considered his true vocation of poetry. Works produced in this period include Il Filostrato and Teseida, The Filocolo, the period featured considerable formal innovation, including possibly the introduction of the Sicilian octave, where it influenced Petrarch. 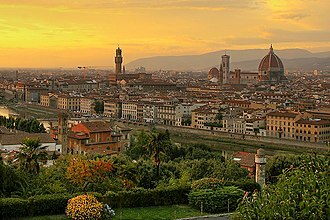 Boccaccio returned to Florence in early 1341, avoiding the plague of 1340 in that city and he had left Naples due to tensions between the Angevin king and Florence. His father had returned to Florence in 1338, where he had gone bankrupt, the pastoral piece Ninfale fiesolano probably dates from this time, also. In 1343, Boccaccios father remarried to Bice del Bostichi and his children by his first marriage had all died, but he had another son named Iacopo in 1344. 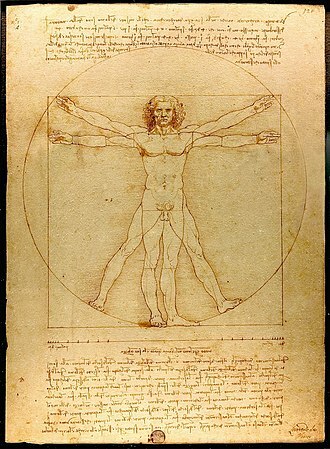 Gian Francesco Poggio Bracciolini, best known simply as Poggio Bracciolini, was an Italian scholar and an early humanist. He was responsible for rediscovering and recovering a number of classical Latin manuscripts, mostly decaying and forgotten in German, Swiss. His most celebrated find was De rerum natura, the surviving work by Lucretius. Poggio di Guccio was born at the village of Terranuova, since 1862 renamed in his honour Terranuova Bracciolini, near Arezzo in Tuscany. Taken by his father to Florence to pursue the studies for which he appeared so apt, he studied Latin under Giovanni Malpaghino of Ravenna, the friend and protégé of Petrarch. He studied notarial law, and, at the age of twenty-one he was received into the Florentine notaries guild, under Martin V he reached the top rank of his office, as Apostolicus Secretarius, papal secretary. As such he functioned as an attendant of the Pope, writing letters at his behest and dictation, with no formal registration of the briefs. He was esteemed for his excellent Latin, his extraordinarily beautiful book hand, and as liaison with Florence. 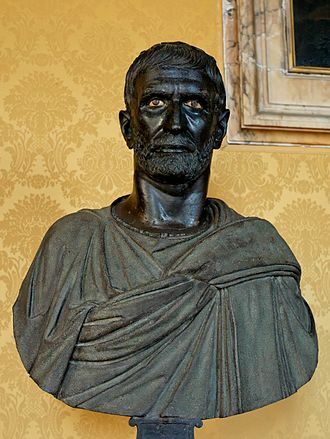 Throughout his long office of 50 years, Poggio served a total of seven popes, Boniface IX, Innocent VII, Gregory XII, Antipope John XXIII, Martin V, Eugenius IV, Nicholas V. In spite of his salary in the Curia, he remained a layman to the end of his life. The greater part of Poggios long life was spent in attendance to his duties in the Roman Curia at Rome, although he spent most of his adult life in his papal service, he considered himself a Florentine working for the papacy. His five years spent in England, until returning to Rome in 1423, were the least productive, Poggio resided in Florence during 1434−36 with Eugene IV. In spite of the remonstrances and dire predictions of all his friends about the age discrepancy, the marriage was a one, producing five sons. At stake was the new approach of the humanae litterae in relation to the divinae litterae, Valla claimed that biblical texts could be subjected to the same philological criticism as the great classics of antiquity. Poggio held that humanism and theology were separate fields of inquiry, Poggios series of five Orationes in Laurentium Vallam were countered, line by line, by Vallas Antidota in Pogium. Marcus Tullius Cicero was a Roman philosopher, lawyer, political theorist and constitutionalist. He came from a wealthy family of the Roman equestrian order. According to Michael Grant, the influence of Cicero upon the history of European literature, Cicero introduced the Romans to the chief schools of Greek philosophy and created a Latin philosophical vocabulary distinguishing himself as a translator and philosopher. 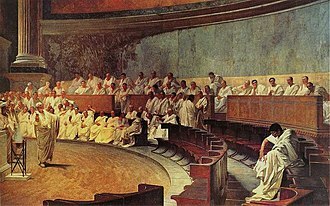 Though he was an orator and successful lawyer, Cicero believed his political career was his most important achievement. 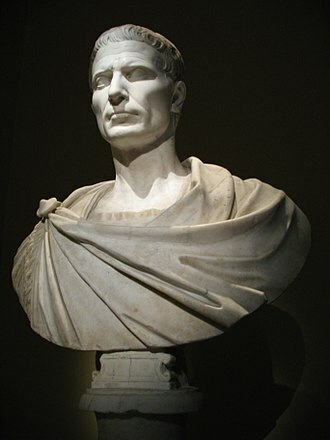 During the chaotic latter half of the 1st century BC marked by civil wars, following Julius Caesars death, Cicero became an enemy of Mark Antony in the ensuing power struggle, attacking him in a series of speeches. 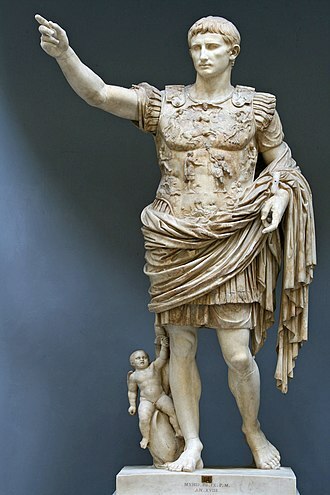 His severed hands and head were then, as a revenge of Mark Antony. Petrarchs rediscovery of Ciceros letters is often credited for initiating the 14th-century Renaissance in public affairs, according to Polish historian Tadeusz Zieliński, the Renaissance was above all things a revival of Cicero, and only after him and through him of the rest of Classical antiquity. 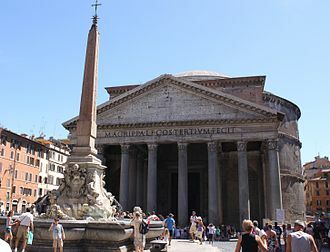 Cicero was born in 106 BC in Arpinum, a hill town 100 kilometers southeast of Rome and his father was a well-to-do member of the equestrian order and possessed good connections in Rome. 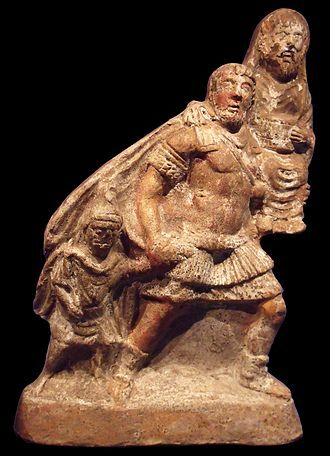 However, being a semi-invalid, he could not enter public life, although little is known about Ciceros mother, Helvia, it was common for the wives of important Roman citizens to be responsible for the management of the household. Ciceros brother Quintus wrote in a letter that she was a thrifty housewife, Ciceros cognomen, or personal surname, comes from the Latin for chickpea, cicer. Plutarch explains that the name was given to one of Ciceros ancestors who had a cleft in the tip of his nose resembling a chickpea. However, it is likely that Ciceros ancestors prospered through the cultivation. Romans often chose down-to-earth personal surnames, the family names of Fabius and Piso come from the Latin names of beans, lentils. Plutarch writes that Cicero was urged to change this name when he entered politics. During this period in Roman history, cultured meant being able to speak both Latin and Greek, Cicero used his knowledge of Greek to translate many of the theoretical concepts of Greek philosophy into Latin, thus translating Greek philosophical works for a larger audience. Durante degli Alighieri, simply called Dante, was a major Italian poet of the Late Middle Ages. In the late Middle Ages, the majority of poetry was written in Latin. In De vulgari eloquentia, Dante defended use of the vernacular in literature, as a result, Dante played an instrumental role in establishing the national language of Italy. In addition, the first use of the interlocking three-line rhyme scheme, Dante has been called the Father of the Italian language and one of the greatest poets of world literature. In Italy, Dante is often referred to as il Sommo Poeta and il Poeta, he, Dante was born in Florence, Republic of Florence, present-day Italy. The exact date of his birth is unknown, although it is believed to be around 1265. This can be deduced from autobiographic allusions in the Divine Comedy, in 1265, the sun was in Gemini between approximately May 11 and June 11. Dante claimed that his family descended from the ancient Romans, but the earliest relative he could mention by name was Cacciaguida degli Elisei, born no earlier than about 1100. Dantes father, Alaghiero or Alighiero di Bellincione, was a White Guelph who suffered no reprisals after the Ghibellines won the Battle of Montaperti in the middle of the 13th century. Dantes family had loyalties to the Guelphs, an alliance that supported the Papacy and which was involved in complex opposition to the Ghibellines. 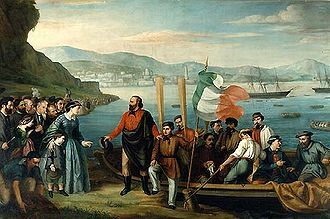 The poets mother was Bella, likely a member of the Abati family and she died when Dante was not yet ten years old, and Alighiero soon married again, to Lapa di Chiarissimo Cialuffi. When Dante was 12, he was promised in marriage to Gemma di Manetto Donati, daughter of Manetto Donati, contracting marriages at this early age was quite common and involved a formal ceremony, including contracts signed before a notary. But by this time Dante had fallen in love with another, Beatrice Portinari, years after his marriage to Gemma he claims to have met Beatrice again, he wrote several sonnets to Beatrice but never mentioned Gemma in any of his poems. The exact date of his marriage is not known, the certain information is that, before his exile in 1301. Lucca is a city and comune in Tuscany, Central Italy, on the Serchio, in a fertile plain near the Tyrrhenian Sea. It is the capital of the Province of Lucca and it is famous for its intact Renaissance-era city walls. Lucca was founded by the Etruscans and became a Roman colony in 180 BC, the rectangular grid of its historical centre preserves the Roman street plan, and the Piazza San Michele occupies the site of the ancient forum. Traces of the amphitheatre still may be seen in the Piazza dellAnfiteatro, at the Lucca Conference, in 56 BC, Julius Caesar and Crassus reaffirmed their political alliance known as the First Triumvirate. Frediano, an Irish monk, was bishop of Lucca in the sixth century. 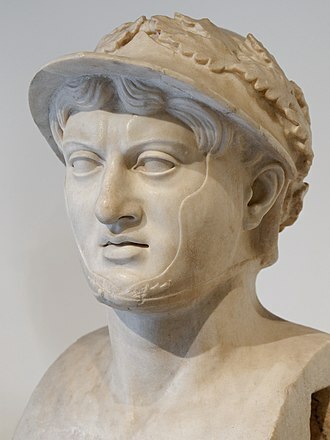 At one point, Lucca was plundered by Odoacer, the first Germanic King of Italy, Lucca was an important city and fortress even in the sixth century, when Narses besieged it for several months in 553. Under the Lombards, it was the seat of a duke who minted his own coins, the Holy Face of Lucca, a major relic supposedly carved by Nicodemus, arrived in 742. During the eighth-tenth centuries Lucca was a center of Jewish life, Lucca became prosperous through the silk trade that began in the eleventh century, and came to rival the silks of Byzantium. During the tenth–eleventh centuries Lucca was the capital of the margraviate of Tuscany, more or less independent. 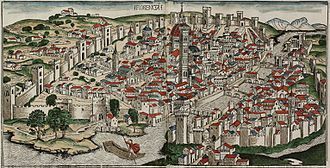 After the death of Matilda of Tuscany, the city began to constitute itself an independent commune, for almost 500 years, Lucca remained an independent republic. There were many minor provinces in the region between southern Liguria and northern Tuscany dominated by the Malaspina, Tuscany in this time was a part of feudal Europe, dante’s Divine Comedy includes many references to the great feudal families who had huge jurisdictions with administrative and judicial rights. Dante spent some of his exile in Lucca, in 1273 and again in 1277, Lucca was ruled by a Guelph capitano del popolo named Luchetto Gattilusio. In 1314, internal discord allowed Uguccione della Faggiuola of Pisa to make himself lord of Lucca, the Lucchesi expelled him two years later, and handed over the city to another condottiero, Castruccio Castracani, under whose rule it became a leading state in central Italy. The so-called Nicchioni, Roman constructions of uncertain function. The Duomo in the sloping Piazza del Popolo. The unfinished façade of San Fortunato. A bolognino of Urban V.